If you are arrested and charged with OUI in Ferndale Michigan you need a winning attorney to defend you at the 43rd District Court in Ferndale, Michigan. Hilf & Hilf, PLC lawyer Daniel Hilf is known for his methodical, calculated defense of OUI offenses in metro-Detroit and across the State of Michigan. A huge reason to retain attorney Daniel Hilf is fight against the tough penalties that go hand and hand with a OUIL conviction. 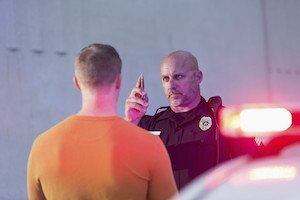 Serious OUI offenses in Michigan result in mandatory penalties such as: significant incarceration, days and days of community service, license sanctions, alcohol or drug rehabilitation treatment, and vehicle immobilization of the car used. Other less serious OUI convictions can still result in jail, fines and costs, and probation with conditions (testing for drugs and alcohol, alcohol counseling, community service etc.). For any OUI conviction you cannot avoid having the Michigan Secretary of State restrict, suspend, or revoke your driving privileges and add points to your driving record. The severity of Secretary of State sanction depends upon the nature of the OUI conviction offense and your prior conviction history (if any). If you need outstanding OUI defense in Ferndale MI, contact Hilf & Hilf today.